Join us on the farm as we showcase our best spring blooms with featured guest designer Cindy Magan from Hillside Blooms Floristry. Have you ever wondered how to make a beautiful hand tied bouquet? Whether you’re a DIY bride looking to learn how to create your wedding bouquet or a daughter searching for a perfect gift for Mother’s Day this workshop is a perfect kick-off to our garden rose season. Students will enjoy a tour of our rose fields lead by Felicia Alvarez, founder & farmer of Menagerie Farm & Flower, where you’ll get to pick the best spring blooms. 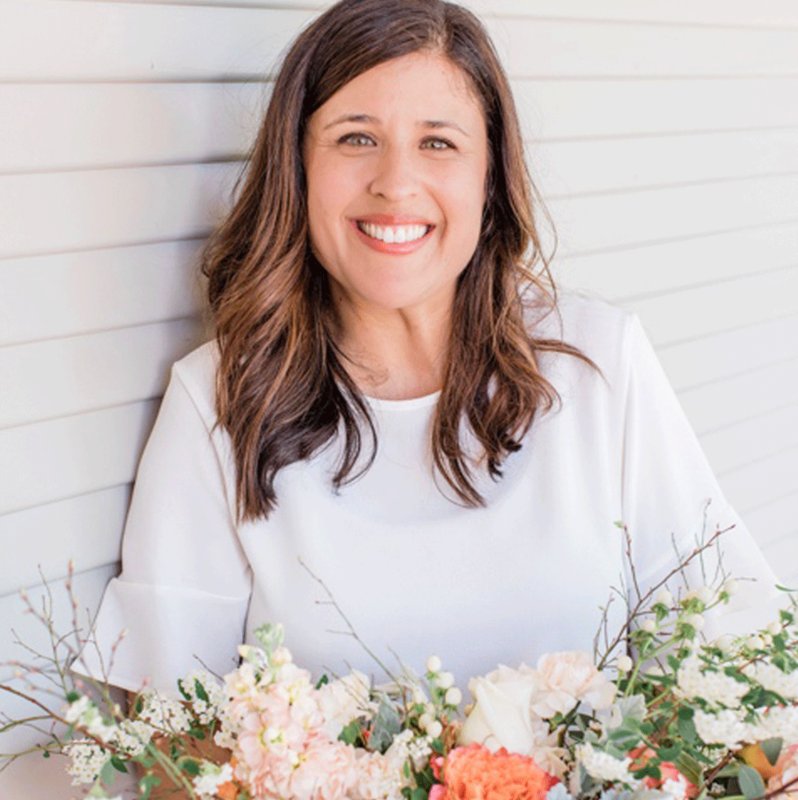 Cindy Magan from Hillside Blooms Floristry will demonstrate her techniques, tips and tricks to create a beautiful bouquet. At home your bouquet can easily be placed in a vessel with water to continue to enjoy as a table arrangement for days to come. In addition to the bouquet you’ll also learn how to craft a small floral wearable like a wrist corsage or floral cuff. All materials needed from the flowers to ribbon and wire are included. The day will be captured by our good friend Jill Carmel of Jill Carmel Photography and you’ll also receive a digital photo of your floral creation to commemorate the day. No prior floral design experience is needed. We’ll make you feel right at home designing. It’s the perfect way to celebrate Mother’s Day with the moms in your life so grab your mom, aunts, sisters, nieces and friends and enjoy a beautiful spring day exploring, learning and relaxing on the farm. Cindy Magan is the Owner and Lead Designer of Hillside Blooms Floristry. She’s had a love of flowers for as long as she can remember. She enjoys gardening and growing some of her favorite blooms on her hillside garden in Northern California. With 7 acres to play with, she grows many varieties of ranunculus, tulips, anemones, and garden roses to name a few. Her hillside blooms are her biggest joy and she adores incorporating them into her designs. She’s designed for life’s great events in churches, weddings, and community events for the past 10 years. She believes that flowers were created to brighten our days and beautify our special occasions. We are so happy Cindy will be sharing her knowledge with us! This event includes a farm picnic lunch & refreshments, all materials, including ribbon and flowers to make a lush springtime bouquet and floral wrist piece and a professional photograph of your design delivered to you digitally after the workshop. The workshop will run from 10am-2pm on Sunday, May 5, 2019. A minimum of 10 attendees is required to run the workshop.